On this day in 1974 Chemring Group listed on the LSE. The following chart plots the average monthly out-performance of the shares over the FTSE 100 Index since 1988. 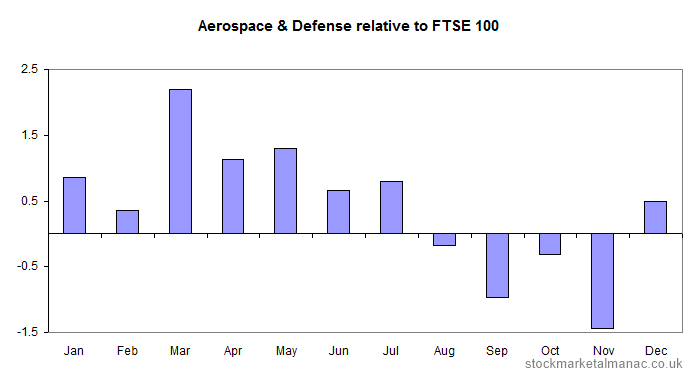 For example, on average Chemring Group has out-performed the FTSE 100 by 4.4 percentage points in January. The strongest month for Chemring Group shares relative to the market has been January (the shares have out-performed the market in this month in 15 of the last 25 years). The weakest month for Chemring Group relative to the market has been October (the shares have only out-performed the market in this month in 9 of the past 26 years). Chemring Group is in the FTSE 350 Aerospace & Defense [NMX2710] sector. 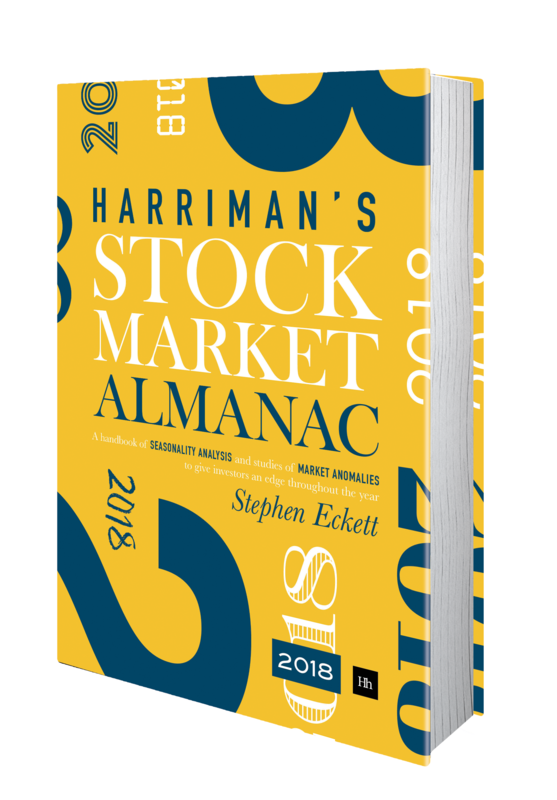 The idea of the Bounceback Portfolio is that a portfolio of the 10 worst performing FTSE 350 stocks in one year has historically beaten the index in the first three months of the following year. This is explained in further detail in the UK Stockmarket Almanac 2013 and in this post at the beginning of the year. The portfolio as a whole increased 2.4% in the first quarter 2013, but this was less than the FTSE 350 Index, which rose 9.2% in the same period. This is the first time since 2002 that the Bounceback Portfolio has under-performed the index in the first quarter. Hindsight is a wonderful thing: obviously the time to take profits was just two weeks into the year. A related strategy is the Dogs of the Dow, where the ten stocks in the Dow Jones Index with the highest dividend yield on the final day of the year are bought. So far, this portfolio is faring better than the above Bounce back Portfolio. A portfolio of such stocks has out-performed the FTSE 350 Index in every year since 2002. The following table lists the 10 worst performing FTSE 350 stocks in 2012 (i.e. 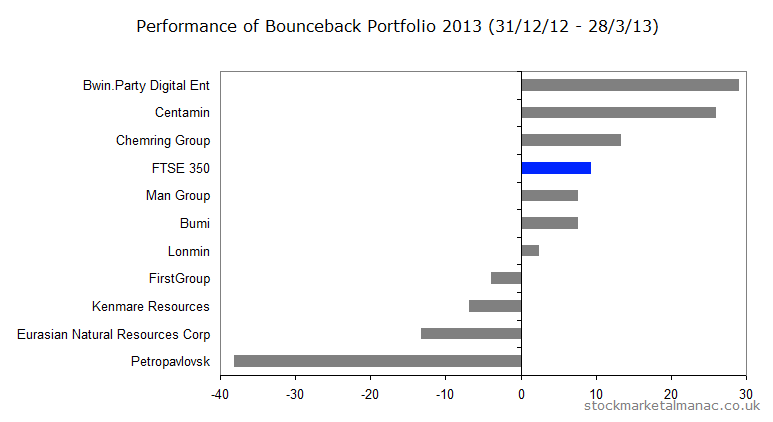 these comprise the Bounceback Portfolio for 2013).